Tip number one: Keep those apostrophes in check! Using the phrase “season’s greetings” is a popular way to address a large group of people celebrating a range of winter holidays. But before you mail your cards en masse, double check that you’ve included an apostrophe. In the phrase “season’s greetings,” the greetings belong to the season. Thus, the possessive apostrophe is correct. 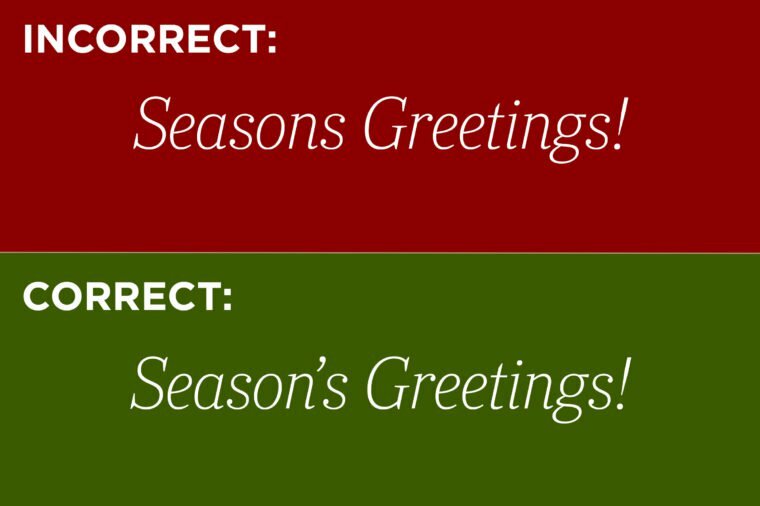 You’ll want to finish your holiday card on a high note—not with the incorrect spelling of your family’s name. If your name doesn’t end with an “s,” simply add one (“Happy holidays from the Browns”). If it already ends in an “s” or a “z,” add “es” (“Happy holidays from the Joneses” and “Happy holidays from the Mendezes”). 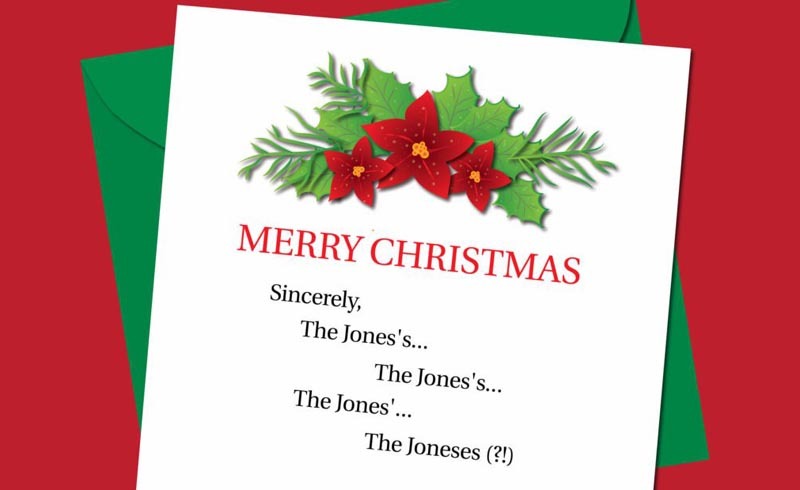 To avoid this conundrum completely, say “Happy holidays from the Jones family.” But whatever you do, don’t add an apostrophe. Happy New Year’s? Happy New Years? Keep it simple: “Happy New Year” is strong and clear. 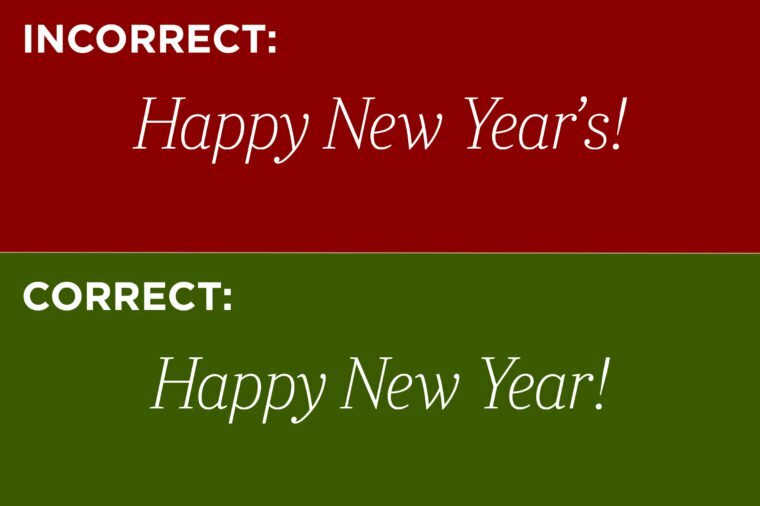 “Happy New Year’s Eve” and “Happy New Year’s Day” are also correct. And now that you’ve sent the perfect card, it’s time to work on your New Year’s Eve toast. How do you list both kids’ accomplishments? 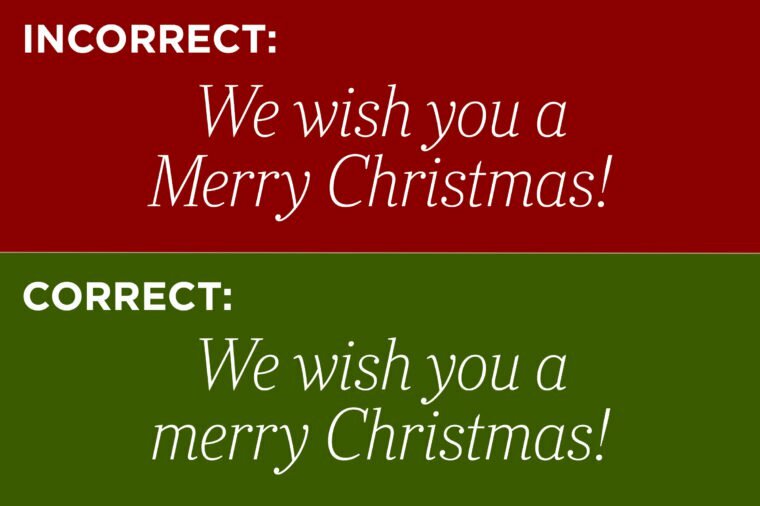 “Merry Christmas” should be capitalized if it starts a sentence, but if you want to write “We wish you a merry Christmas,” leave the M in “merry” lowercase. It isn’t a holiday name like Christmas is, so the phrase isn’t a proper noun. You might know to capitalize a sign-off like “Sincerely” or “Love,” but things get hazy when you add in another word. Treat a closing like a sentence and only capitalize the first word. 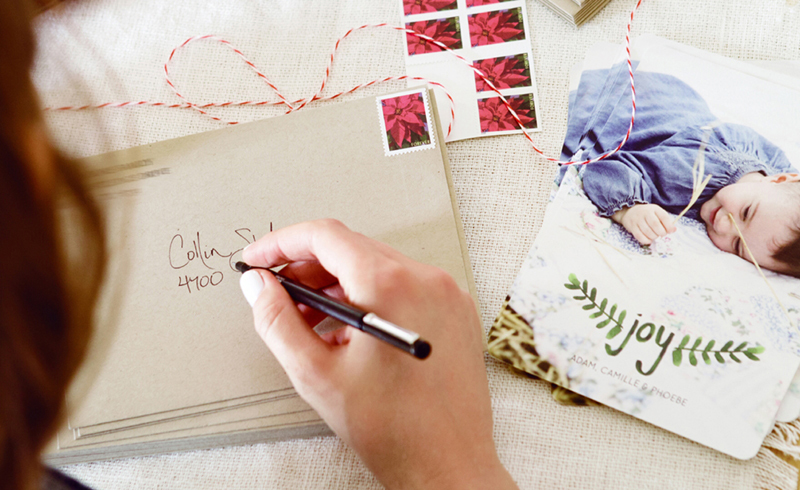 You might end your Christmas card with “Warmest wishes,” “Much love,” or “Hugs and kisses,” followed by your name.